Contact us - Triple C Mobile Mechanix - Email, phone, web! 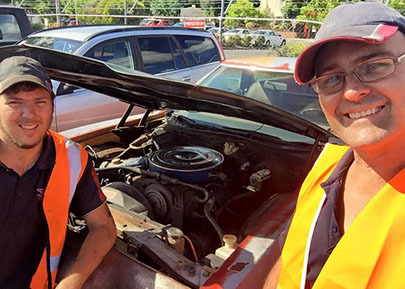 Andrew and Josiah, ready to help you at home, at work, or even the supermarket carpark. We are available from 8am-6.00pm Monday to Friday to meet your mechanical needs. We are skilled. Andrew topped the state in his apprenticeship and Josiah ranked in the top 3 of ALL apprentices in Brisbane in recent workplace awards. We are ethical people wanting to do the best in life we can.